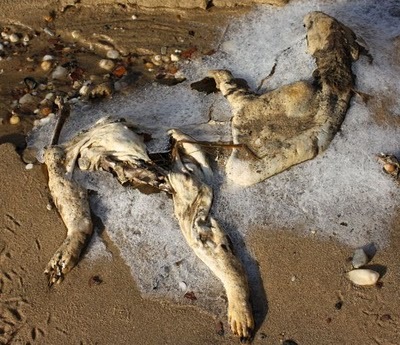 A strange corpse washed up recently on Long Island and a number of pictures were submitted to Phantoms and Monsters. What kind of animal do you think this is? My guess would be some type of canine, most likely a dog. goats have hoofs, you are aware of that right? Looks like a polar bear to me.